A great gaming chip that's just beginning to show its age. Late last summer, Intel rolled out the Core i5 750 based on Lynnfield, its mainstream Nehalem-class CPU. It became an instant favourite. Sure, it was short of a feature or three compared to Intel's finest, including HyperThreading. But for the money, there was nothing to touch it. Fast forward 12 months and the Intel Core i5 750 is hanging in there. That's despite the arrival of the new Core i5 760 [link to review], a similar but slightly faster quad-core model, and several new dual-core, quad-thread Clarkdale chips such as the Intel Core i5 661. 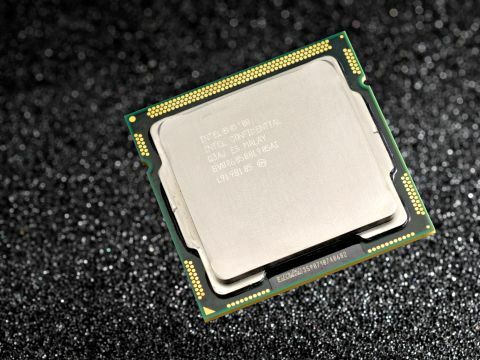 The Core i5 750 has also soaked up an onslaught from AMD in the form of both quad-core chips such as the AMD Phenom II X4 965 Black Edition and the latest six-core AMD Phenom X6 1055T. Somehow, however, this plucky little quad remains relevant, especially if gaming grunt is high on your list of priorities.